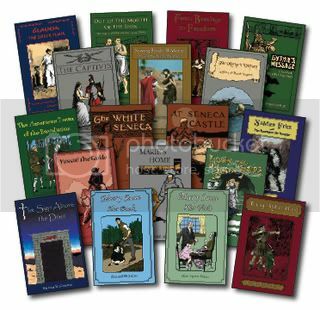 Salem Ridge Press is a publishing company, established in November, 2005, dedicated to bringing back quality children's books of the 1800's and early 1900's for a new generation of readers. As homeschoolers ourselves, we work hard to find and republish the very best books available so that we can help you provide books for your family that you can feel good about giving them. Salem Ridge Press will be giving away some free books. 25 families will win a book of their choice and 1 lucky winner will win all 18 books! All you need to do is visit their blog and follow the directions. Hurry the contest ends July 6th!